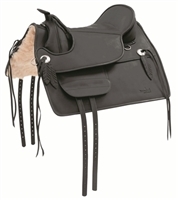 Clearance horse tack, equipment and supplies for all horses and riders. Horze Crescendo Christina Riding Vests - Close Out! Kerrits Kids Horse Sense Half Zip Shirts - Close Out! Horze Grand Prix Womens Extend Leather Knee Patch Breeches - Close Out! Horze Crescendo Eleanor Women's Classic Quilted Vests - Close Out! Irideon Issential Tights - Kids Jodhpur - Close Out!